Do you have a bread machine? It is DEF a MOMMYDO favourite. 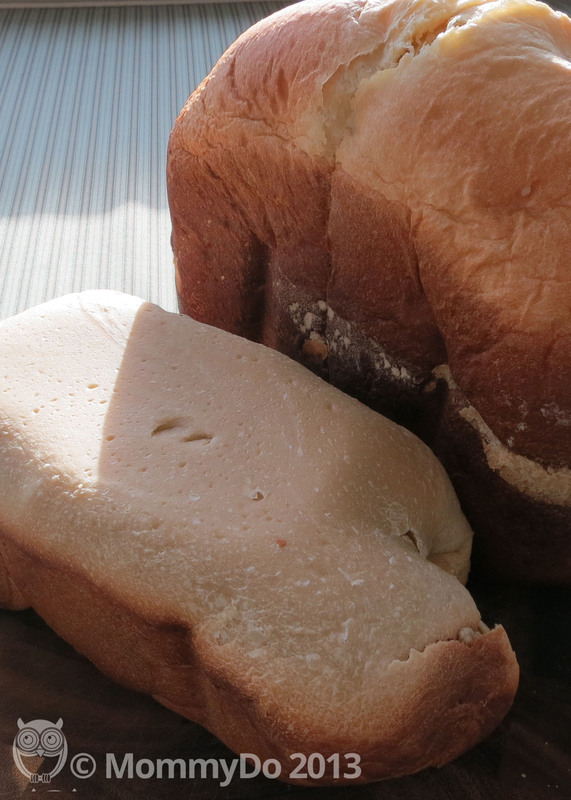 If you have the machine, but not the book, try this simple but delicious white bread recipe from page 24. 1. 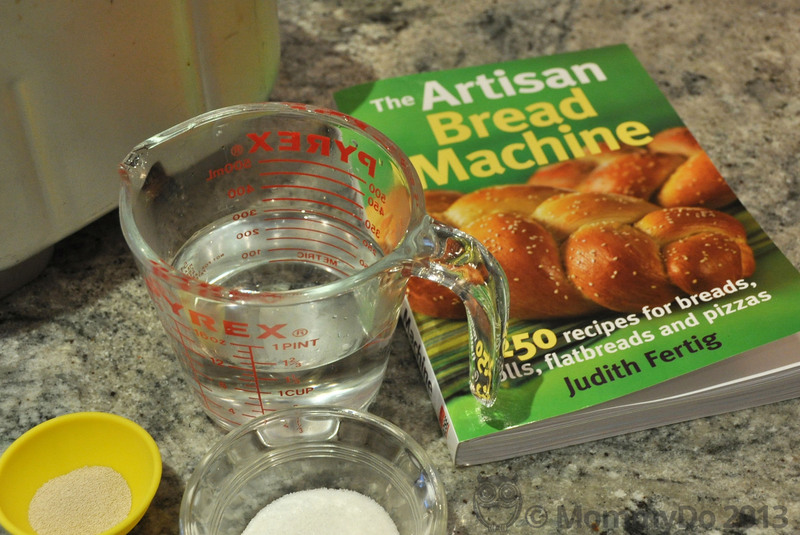 Add sugar, yeast and water to the bread pan. Let stand for 10 minutes or until yeast starts to bubble. 2. Add oil. Spoon flour on top of liquid. Add salt. 3. Select the Basic/White cycle and Light Crust setting and press start. 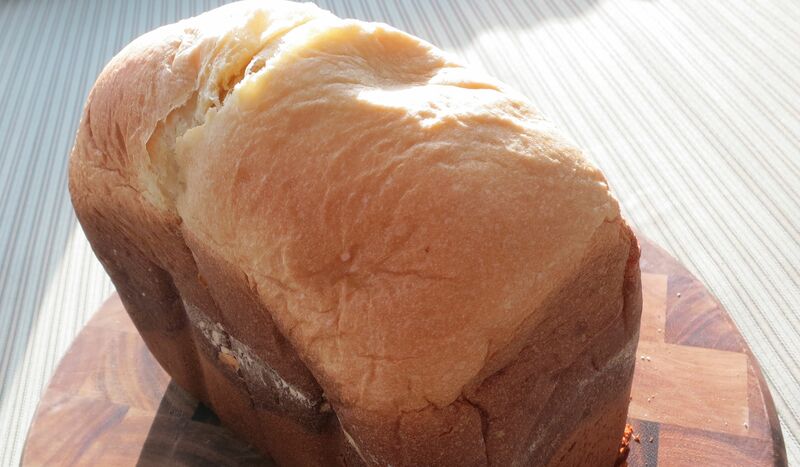 NOTE: As with all bread machine recipes, it’s important to add the ingredients in the right order. Or, um, you might get the loaf on the left. Oops. The salt and the yeast need to be separated by the flour. Does this really mean “flour” as in AP flour? Or do you mean Bread Flour? Can’t wait to try it!